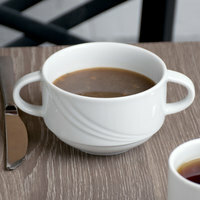 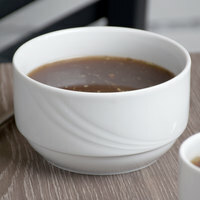 Use Schonwald Donna white porcelain dinnerware to brighten up your traditional table setting. 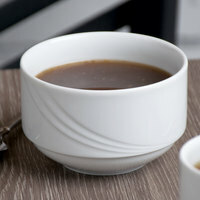 These pieces have a classic shape with a stunning embossed arch design on the rim, helping to enhance their elegant appeal. 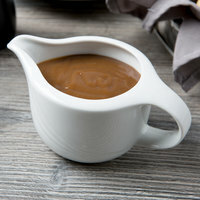 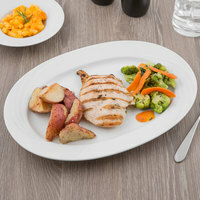 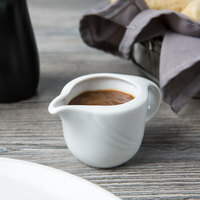 This dinnerware set is also made out of durable porcelain, and it is perfect for high-volume establishments because of its fully vitrified surface, which is resistant to stains and scratches. 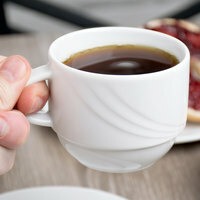 Also make sure to check out other great items from Schonwald. 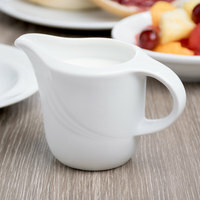 The professional and elegant look of Schonwald Donna white porcelain dinnerware makes it an excellent complement to your establishment's traditional decor. 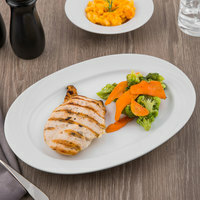 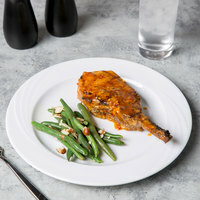 This dinnerware set is bright and appealing, and it's perfect for breakfast or lunch service at your upscale bistro, banquet hall, or restaurant. 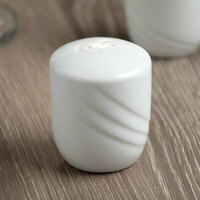 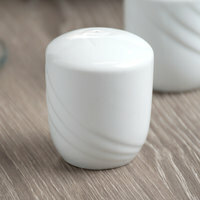 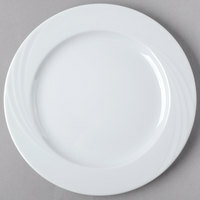 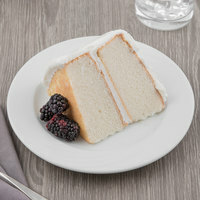 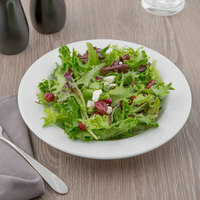 Additionally, the white color is an excellent backdrop for your food, making it look more appetizing. 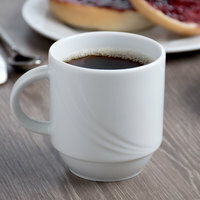 We even offer this dinnerware in bulk cases, so it's easy to stock up. 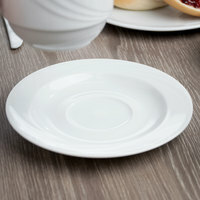 For other tableware options, check out our china platters and trays, beverage glasses, and charger plates. 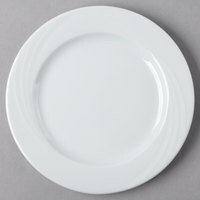 If you're wondering where to buy Schonwald Donna white porcelain dinnerware, we have a large selection of Schonwald Donna white porcelain dinnerware for sale at the lowest prices.